Sigur Ros have always had a lot of depth in their music. Just a year after their last release (which is too quick in my book) comes Kveikur. Now, layered between electronic effects and a new harshness, the music is quite different from anything else out there let alone any of their previous albums. 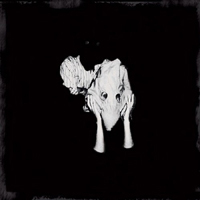 From a band that is accustomed to capturing a different mood with every effort, they’ve managed to avoid my expectations while somehow aptly retaining that signature Sigur Ros sound. Taking listeners to primal places has always been a staple of this Icelandic trio. While the band often exudes a playful mood, it is this writer’s opinion that they are at their best when they go dark. Because of this I can unequivocally say that Kveikur is their best album since (). Takk and Meo are too happy and upbeat, practically to the point of joyful. Valtari has some good sounds but is too soft and atmospheric. Here, we are treated to more active, less ambient. Kveikur eschews the familiar positive vibe for pure raw expression. The album starts heavy, for a few seconds unrecognizable, before the sweet sounding vocals smooth over the distortion. The drum beats really drive the energy in a way that is welcome and fresh, and the mood experienced when listening to the full album is gritty and majestic. With this, the right combination of ingredients and a long wait since a release like this, you surely have a top-notch Sigur Ros outing.